A property touted as the finest undeveloped plot of land in all of Los Angeles is hitting the market with the most expensive listing in the history of the city: $1 billion. 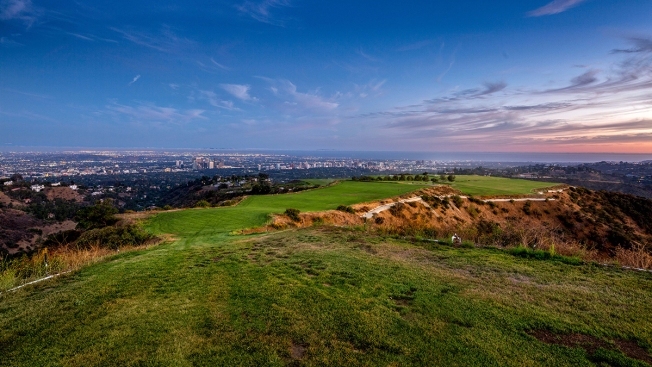 The 157-acre parcel, branded as "The Mountain," sits at the highest point in the 90210 ZIP code. Listing agent Aaron Kirman calls it "the crown jewel of Beverly Hills." Views stretch from downtown Los Angeles to Catalina Island, and the closest neighbor is half a mile away. Anaheim's Disneyland, at roughly 0.13 square miles, is a little more than half the size of the property. The billion-dollar price tag eclipses everything else by a long shot in the ultra-exclusive Beverly Hills market, including The One, a $500 million mega mansion. The current owner of the mountaintop is Secured Capital Property, according to Ronald Richards, an attorney and spokesman for the company. The land has been owned by trusts, entities and celebrities, including talk show host and game show producer Merv Griffin, since the 1970s, according to Forbes. It was purchased in the 1970s by the sister of the shah of Iran before being sold to Griffin, according to CNBC. The property was never developed until recently, when Secured Capital Partners provided the needed infrastructure. It's expected to attract a buyer seeking to build a sprawling private compound. The property is divided into 17 parcels, six of which are zoned for residential development. "There are 2,800 billionaires in the world," Kirman told The Los Angeles Times. "We realized there are 100 of those that could and would want to buy the property."